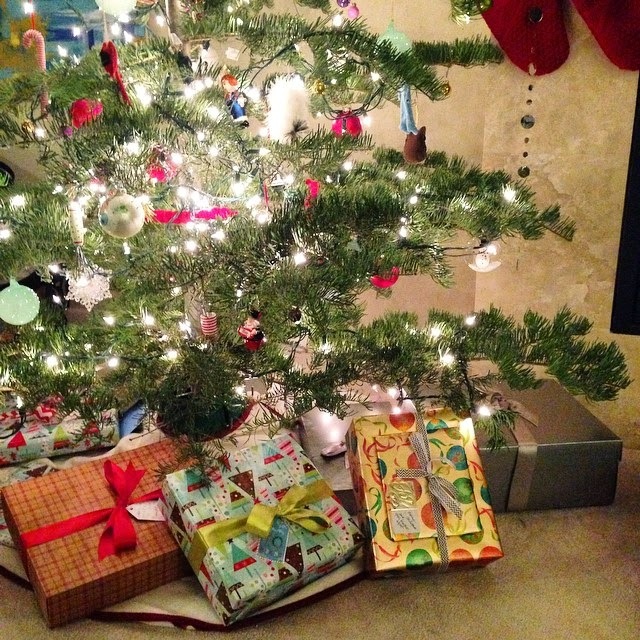 I loved our tree this year...I don't think I'll ever go back to the super dense kind again! 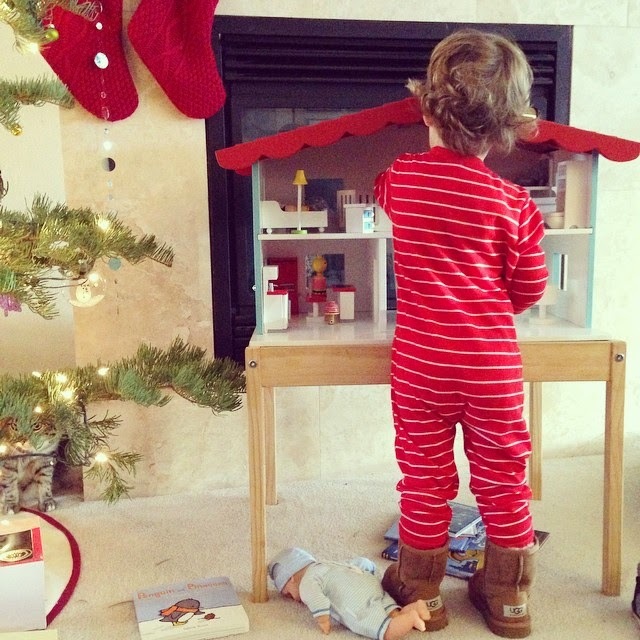 Ethan's "big" gift this year was from his Grandpa and Grandmama...we put this cute "playhouse" together on Christmas Eve and couldn't wait to see his reaction on Christmas morning! Of course, Ethan loved it! He also loved his cute new UGGs from Grandma. and then immediately want to play with each one! His tool belt from Daddy was a hit! 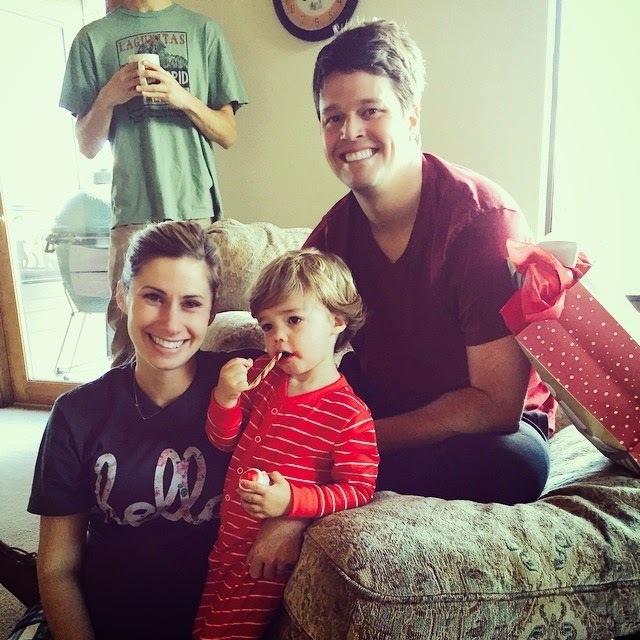 After we opened presents, we went to Gamma and Pop Pop's house to celebrate with the rest of the family...Ethan was excited to see all the presents! The scooter was a total hit! Of course. no Christmas morning is complete without a candy cane! The next day was my birthday...and Ethan's two and a half year birthday, so we celebrated with family and cake, of course! All in all, it was a great Christmas and it makes me a little sad that's it's all over already. We've even taken down the decorations...bah humbug! But of course, my mind is already shifting to this little baby on the way...I'm 37 weeks today! Full term...it's time to start getting ready for his arrival! What an awesome christmas! I love the play house you got for Ethan! We still have our decorations up and plan to for a while but I totally get why you took yours down already! You are definitely in that phase where anything could happen at any time! 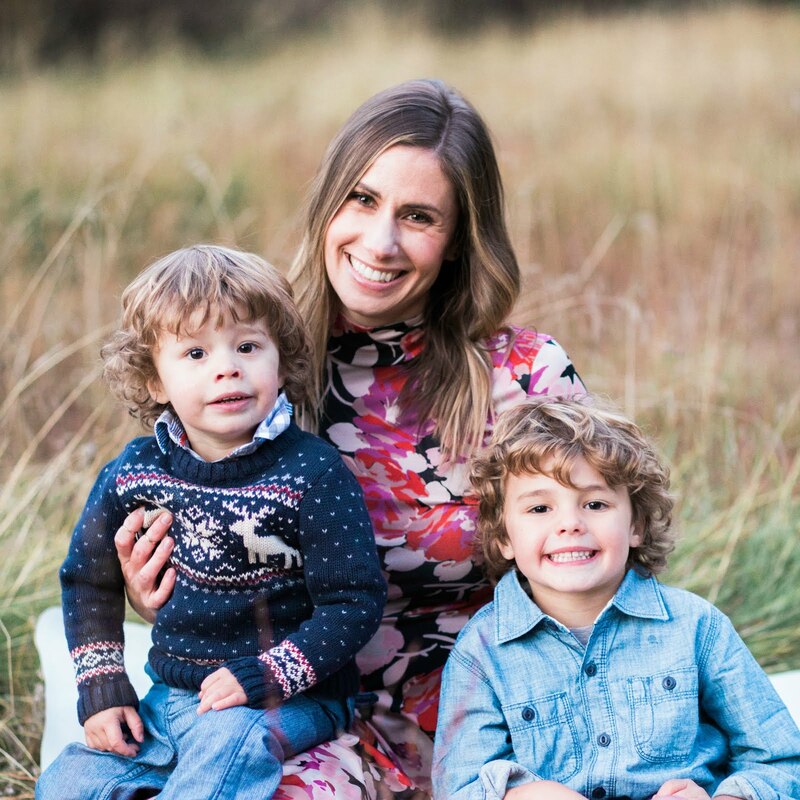 Enjoy this time as a family of 3! omgoodness, I love that play house!!! and that tree! Next year I MIGHT even opt for a tabletop charlie brown tree because I love the sparse looking trees so much! Christmas seemed to come and go too fast this year! Ethan is just too cute. Looks like a fantastic holiday. It really did go by so fast this year. We'll probably keep our decorations up a bit longer, just to take in a few more days of holiday spirit (who am I kidding, I'm just too lazy to do it right now). :) Hope you had a wonderful birthday! What a wonderful Christmas!!! 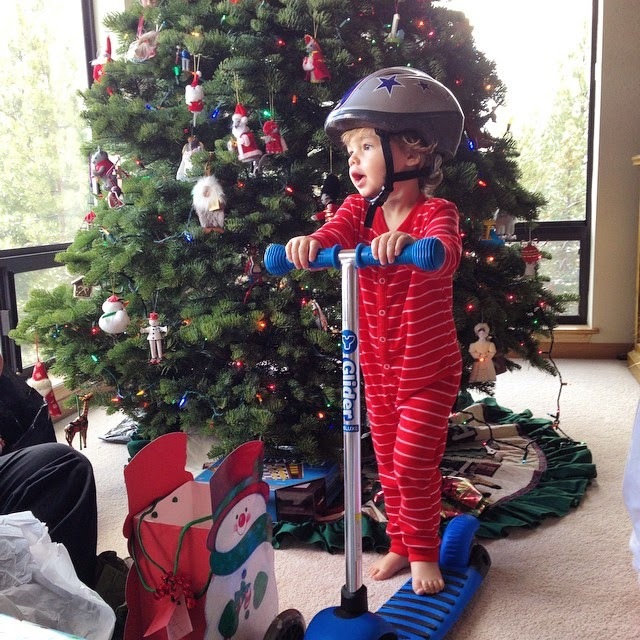 Mason got the Y Velo Flippa balance bike for Christmas but that scooter was a close second. You will have to share later how Ethan does and how he likes it. Merry (belated) Christmas and Happy (belated) birthday to you and 2 1/2 birthday to Ethan! I am so buying a tree like that next year! I'm loving them! 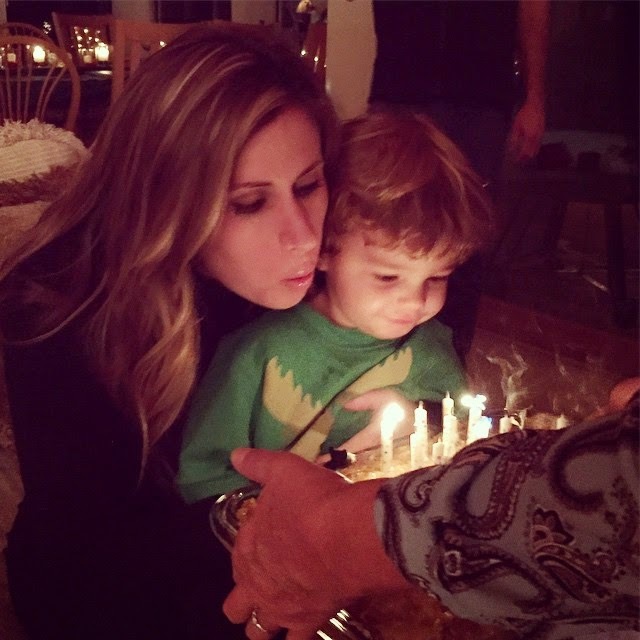 Hope you had a wonderful birthday mama! That pic in the toolbelt kills me! 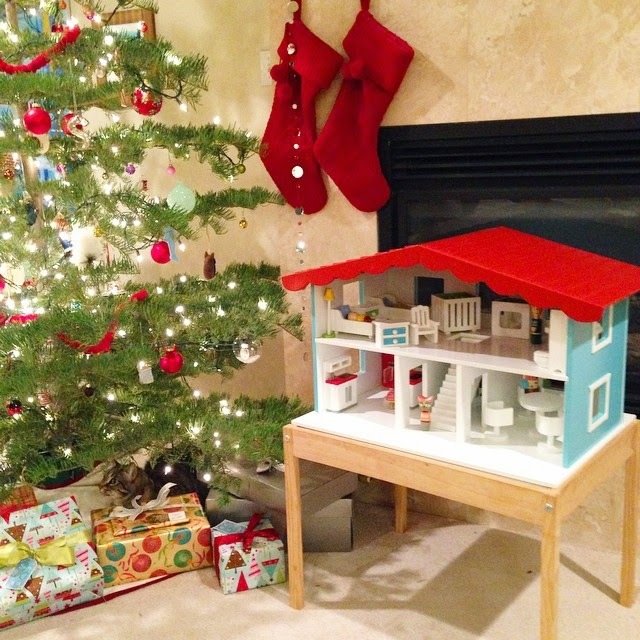 Love the "playhouse" nice to finally see some toys that aren't decked out in pinks that all kids can play with. Looks like a great Christmas and Birthday! Love all the fun photos! Looks like such a sweet Christmas. Where is Ethan's little train from? 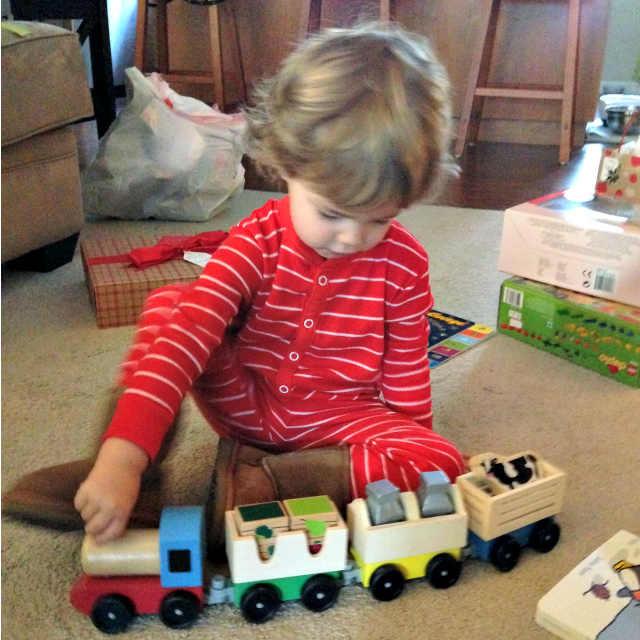 I have a train obsessed 18 month old. Love your tree!! Looks like you all had a great Christmas!! !